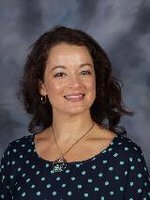 Mrs. Glidewell holds a Masters degree in School Counseling from the University of Alabama at Birmingham and a Bachelor of Arts in Communication and Information Sciences from The University of Alabama. August of 2006 she became a K-5 school counselor at Mount Olive Elementary. That following school year she began counseling here at Moody Middle School. Follow the Guidance link for information about the school guidance counseling program at Moody Middle School. Mrs.Glidewell is the Scholars Bowl team coach and co-leads the First Responders Club. Look under the Clubs and Teams link for more information on either club. Check out my website: http://mskitts.weebly.com/.